Goa is one of the tourism hotspots in the whole country. Being present amidst the quintessential beauty of the Western Ghats, the state of Goa portrays a lot of tourism colors in the mind of the travelers. 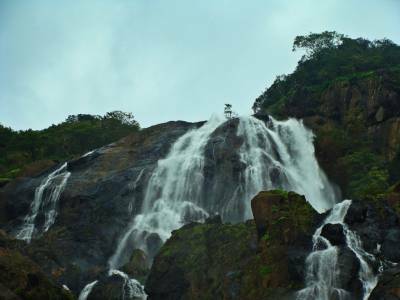 One of the best spots in Goa is most definitely the milk white Dudhsagar Falls. 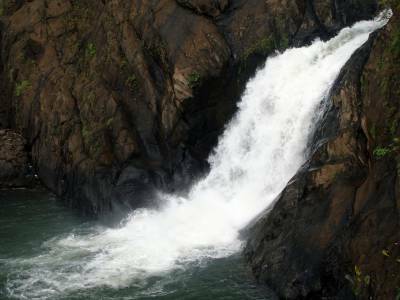 The reason behind such a naming of this tall waterfall is because during the monsoon season, when the water of the parent river multiplies manifold the force of the drop is so magnanimous that the waters appear to be chalky white when thrust upon the stony terrains at the base of the waterfalls. 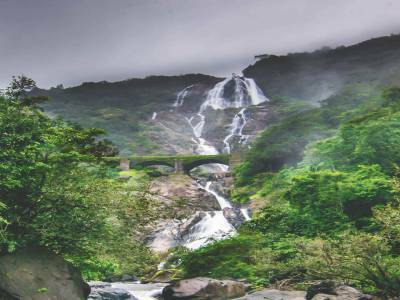 The biodiversity of the region is very exotic and the deciduous forests surrounding the Dudhsagar Falls makes it an ideal paradise of each and every nature lovers and for the photographers too. 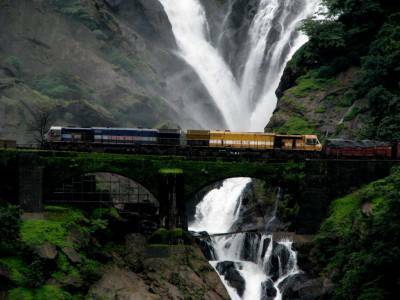 The Dudhsagar Falls is located at a wee distance from the state capital of Goa, Panaji. The Mandovi River is the source of Dudhsagar Falls and the railway tunnel passing by this natural phenomenon makes the train ride as memorable as possible. On a trip to Dudhsagar Falls tourists will find the Dudhsagar Trek and a visit to the Mollem National Park & Bhagwan Mahavir Sanctuary very entertaining & enlightening. Accessibility: Train route upto Collem, which is a 6 KM from Dudhsagar falls then from Collem taxis are available up to Dudhsagar. 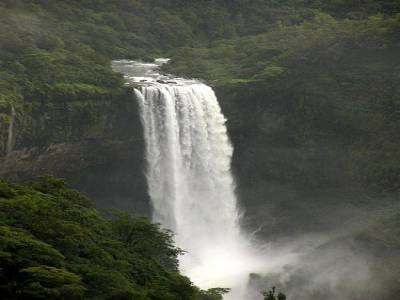 Get quick answers from travelers who visit to Dudhsagar Waterfalls.